Whenever a new advocacy group pops up for a potential major project effor,t especially if the project is in Pinellas County and the Group is mostly headquarter in Tampa, it gets my attention. 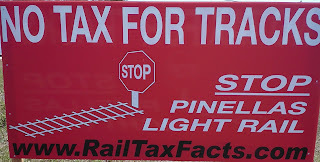 In my Post:1% Sales Tax Increase for Busses and Trains Good Idea or Not? I hinted that The proposed property Tax referendum being nudged toward the Pinellas County Commission would bring out some interesting and perhaps highly motivated players. The newest entry Connect Tampa Bay. Here are the players, you can find some more detail in Anna Phillips Tampa Bay Times article: As transit talk builds in Pinellas, a new advocacy group arrives. Works for Jacobs Engineering whose web site says: Our strength in this industry includes transportation, aviation, water infrastructure, and telecommunications. Jacobs provides full life-cycle capabilities, including planning, design, consulting, engineering, design-build, and construction and program management services to clients engaged in civil construction projects throughout the globe. Brian is an attorney with Shumaker, Loop &Kendrick, LLP. He represents individuals and corporations involved in business, contract and real estate disputes. He has assisted clients from a wide variety of industries including real estate, manufacturing, health care, construction, state and local government, community associations, banking and finance, and venture capital and start-up companies. Member Citizen advisory Board Tampa Bay Regional Transit Authority. An engineer with the Beck Group which was founded in 1912 and is a full service builder with an international footprint. Local projects include Tampa International Airport - Airside C, University of Tampa Kennedy Place and the Salvador Dali Museum. Whose mother just happens to be Pinellas County Commissioner Karen Steel. Consultant and political operative worked for Hillary Clinton as Deputy Internet Director, currently Executive Director Connect Tampa Bay. So we have a Planner, an Engineer an Attorney and a political operative, at least three of whom work for companies that just might play in the Big Pinellas Transit pie. Notwithstanding the heartwarming stories about mass transit from this group, my bet is you will have better luck meeting these folks at the BMW dealership than in the seat next to you on a PSTA or HART bus. Just the thought of a never ending source of revenue like a 1% sales tax has those who might benefit salivating in the wings. A never empty public trough is a Planner/Consultant/Engineer/Attorney's dream come true. Just look at TBARTA millions spent, mostly on Planners, Engineers, Consultants and Attorneys and not a whole lot to show for it. So far Commissioner Steel is on record as not favoring moving the sales tax question to the ballot, we will see if Junior has any influence at the dinner table. I am not anti public transportation, we need to come to grips with the growing traffic problems and public transportation in the County. 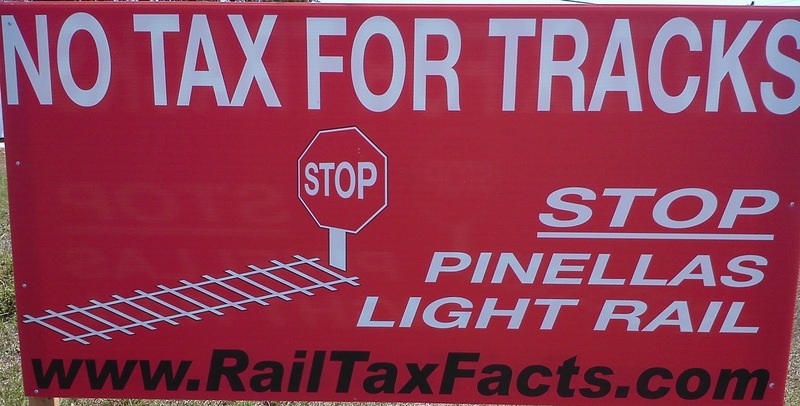 What we don't need is a Pinellas version of TBARTA funded by a never ending source of revenue. Pinellas County politics is kind of unique. My advice to the big law firms, train manufacturers, Engineering and Planning company's and real-estate speculators would be lay low for now. All that hype didn't work so well in Hillsborough County, and it's a pretty good bet it won't work in Pinellas County, even if your mom is a County Commissioner.